There are 8 categories: 1) Best of British; 2) Fur and Feathers; 3) Mono Culture; 4) Close Encounters; 5) Persons of Interest; 6) Town and Country; 7) World in Motion; 8) Travellers’ Tales. The 8 categories are open to Amateur* photographers of all ages and nationalities. Any entrant under 18 at any point during the awards submissions period (9th March - 26th October 2018) must gain the permission of a parent or guardian to enter the competition. Entrants under the age of 13 during the awards submissions period (9th March - 26th October 2018) are not permitted to enter. *In this instance, the definition ‘amateur’ refers to a person who earns 10% or less of their annual income from photography or photographic services. The opening date of Round 1 in the APOY 2018 Awards is Friday 9th March 2018. The closing date for entries in Round 8 of the APOY 2018 Awards is midnight (UTC) on Friday 26th October 2018. The overall winners of the awards will be announced in the Dec 22-29 2018 issue of Amateur Photographer magazine, followed by an announcement on Photocrowd. You can enter up to 4 images in each of the 8 categories. 1 free entry per round can be obtained via a unique code published in Amateur Photographer magazine during the period in which that round is open. Without the code, you’ll be able to enter a maximum of 3 purchased images per round. Multiple bundles can be purchased (eg 3 x 1 image bundles = 3 total entries) but the maximum number of entries that can be made across all 8 categories is 32 (3 purchased images + 1 free entry via code per category). The voucher for one free entry per round is printed each week in Amateur Photographer magazine, which costs £2.99 from most good newsagents and supermarkets. Amateur Photographer magazine is also available in digital format, for your iPad or mobile device: in iTunes, Kindle, Google Play and Zinio. Also available on Readly. Yes, the same image can be entered into multiple categories, if you consider that it fits the brief for each category you enter it into. However it will only be considered once during the scoring process for the overall award. Each photographer can enter the awards once, using one Photocrowd account. More than one image bundle can be purchased, but there is a maximum of 32 images that can be entered by each photographer – 4 into each of the 8 categories (3 purchased images + 1 free entry via code per category). Yes, there’s a simple signup process to register on Photocrowd, which will then give you full access to the APOY 2018 awards. Yes, images can be taken on any device capable of producing a digital image of sufficient size for entry. For full guidelines on minimum image requirements see the Preparing Your Images page. APOY 2018 awards is an international competition and you may enter photographs taken anywhere in the world. Please note that Round 1, ‘Best of British’ does stipulate that you should enter photos of Britain. Yes, you are allowed to enter photos that have won other photo awards previously. There is a recommended minimum file size of 2500 pixels on the shortest side. Full guidelines on image requirements are provided on the Preparing Your Images page. There are no restrictions on the use of digital manipulation. More information on image requirements are provided on the Preparing Your Images page. 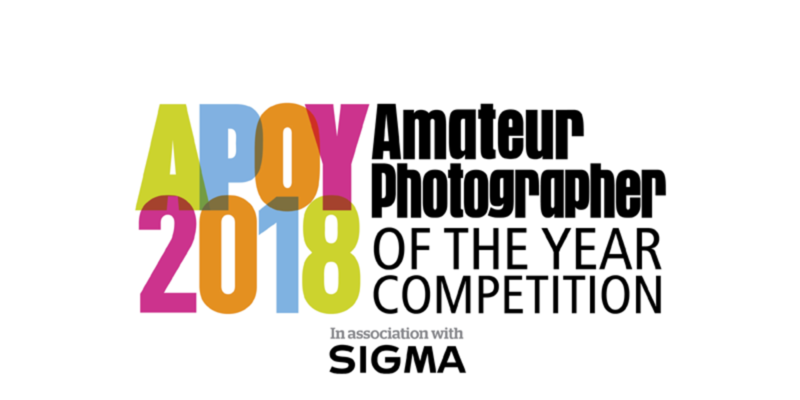 SIGMA’s mission is to provide exceptional products at an affordable price and are again offering a wonderful array of prizes to the winners of this year's Amateur Photographer of the Year competition.